This is an interesting post in a way that you would have always read about astonishing and amazing inventions, but never read about most useless inventions. Today we have a look at 10 of them. 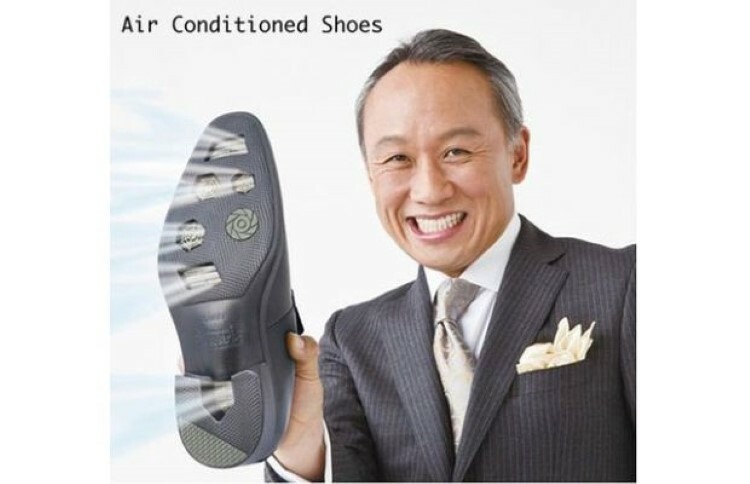 Hydro-tech developed the air conditioned shoes which, are more or less the normal shoes with holes in them. They intend to target the customers who face the problem of having smelly feet. The company claims that they possess a unique filter technology to ward off smells and cost $70. 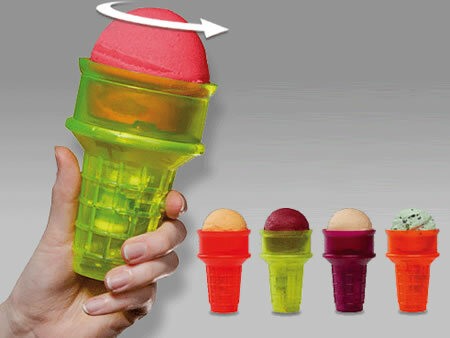 In this age of technology, it is not unusual at all to have several remotes for different home appliances. You would have found yourself quarreling with your family members when any of them is lost. 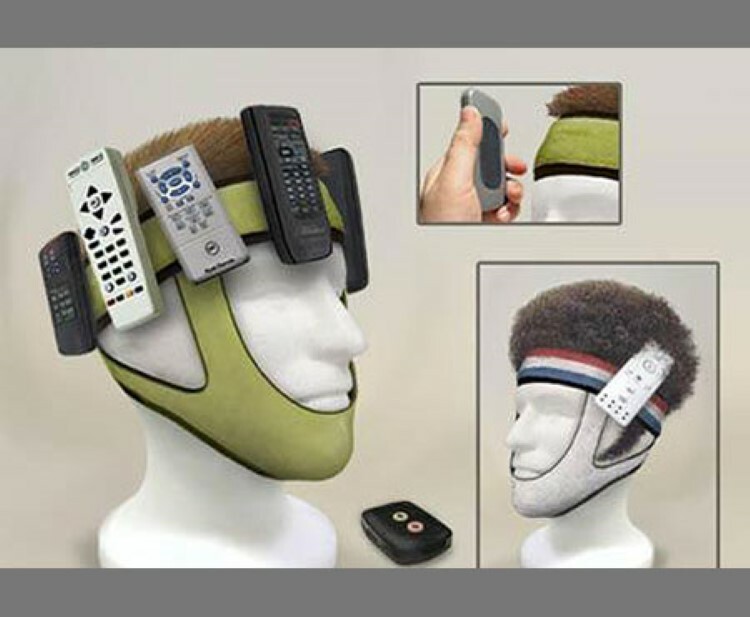 To solve this problem of losing remotes frequently, Rodd Miller came up with the idea of the remote head band. The picture of this headband says it all. The purpose of shoe umbrella is obvious from its name. 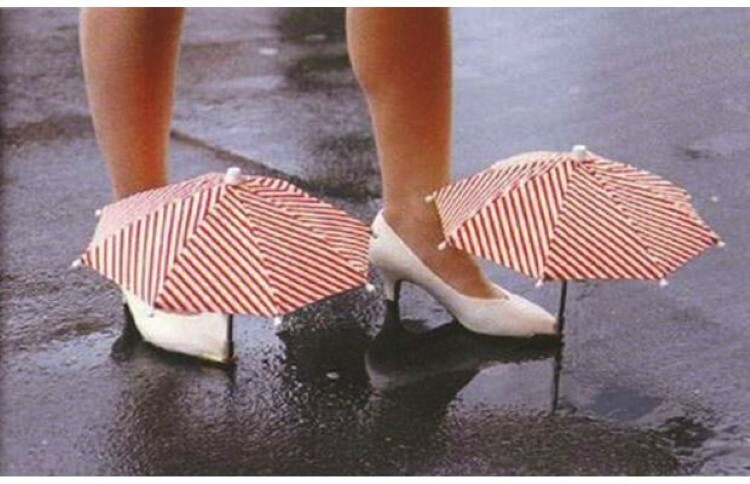 It was designed to prevent one’s feet from getting wet when it rains. However, the idea of moving with two umbrellas attached to your shoes, and the inconvenience caused by it is senseless. 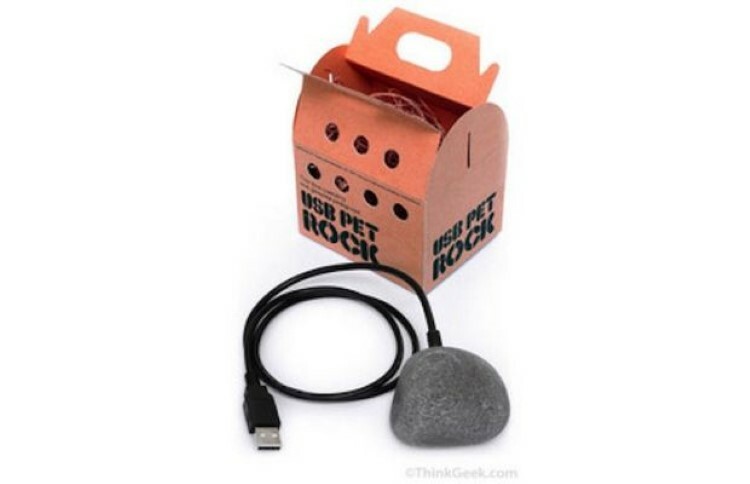 This product gets attached to the steering of the car so that you can place your laptop on it. 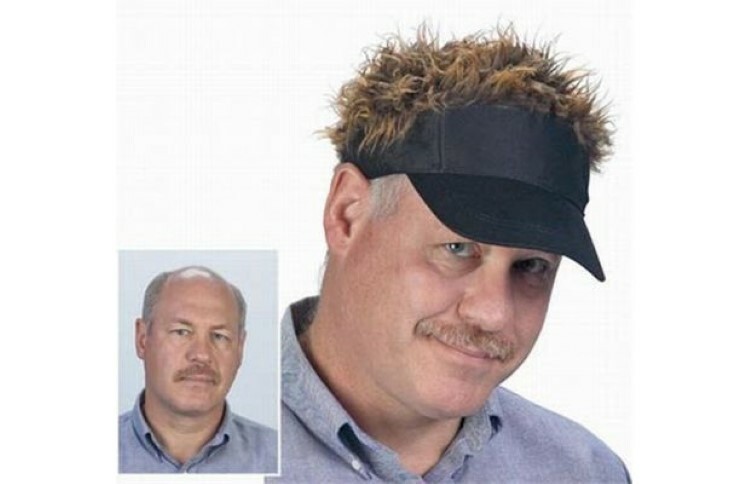 The product can only be utilized when the car is static. This Steering wheel desk is available at Amazon for $25.39. 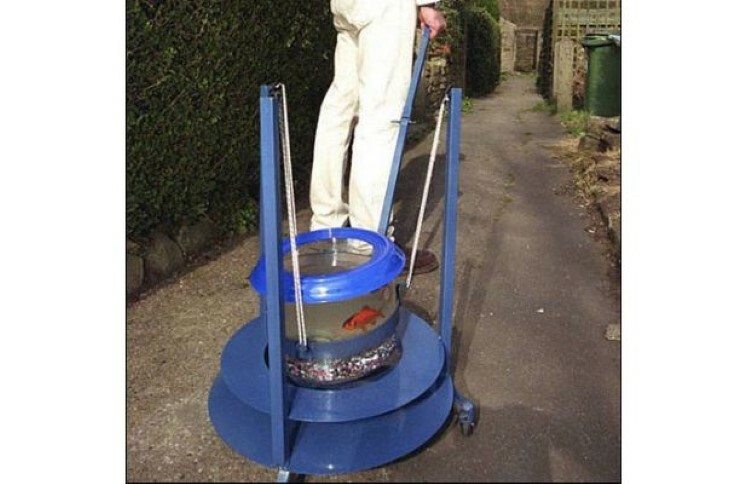 You must be familiar with the baby walkers, but Mick Madden from the UK has come up with the Goldfish walker. This is a pull along walker, which allows you to take your Goldfish for a walk. 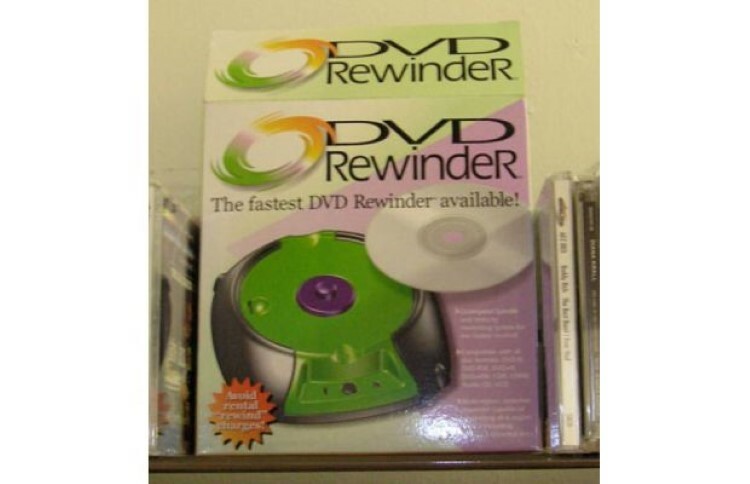 The DVD rewinder came into the market in 2009 and stayed there for less than a year. 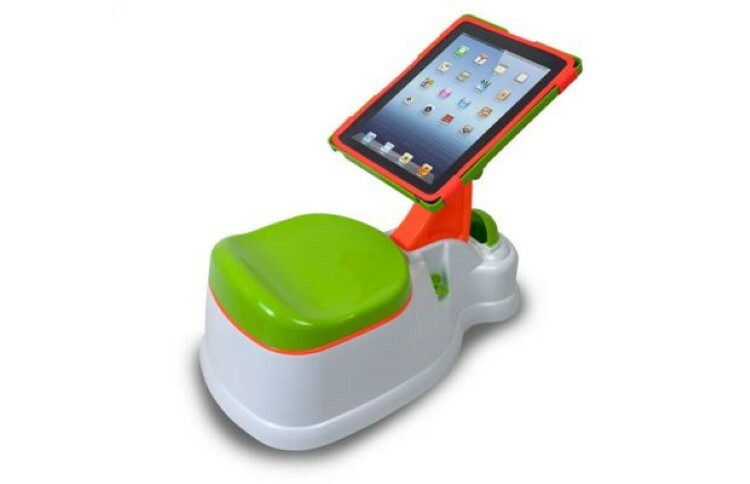 This product tops the list because even a little kid knows that a DVD doesn’t have to be rewound. A breath of fresh air to know i’m not the only nut on the planet. Enjoyed the DVD re-winder. Good fun. Thanks.